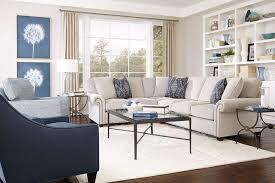 Rowe Furniture Reviews Guide 2019 - Virginia Founded Furniture! / Rowe Furniture Reviews Guide 2019 – Virginia Founded Furniture! 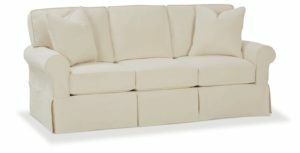 Rowe Furniture Reviews Guide 2019 – Virginia Founded Furniture! Rowe Furniture are one of the most well respected furniture providers in the world, renowned for their construction quality and variety. They’ve been instrumental in technological advances in the industry and making modern adjustments to classic pieces that make them more useful to the customer. In this Rowe Furniture reviews guide we will talk about Rowe Furniture history, they types of furniture they produce, reviews on Rowe sectionals and recliners, and the Rowe Furniture warranty policy! Rowe Furniture began with 2 men in Virginia over 70 years ago. From there they’ve grown into a huge global furniture producer with over millions of customers. Their long life has given them a wealth of experience both in crafting unique furniture and solving the customer’s problems. Rowe Furniture have never chosen to outsource production to the far East even when the majority of furniture producers were. They chose to eat the loss so they could guarantee the quality of their products. Rowe Furniture is built on the principles of quality and value. They strive to make furniture that will benefit you and add value to your home. If you are looking for other durable American made furniture then check out Pulaski furniture and also checkout Flexsteel for great furniture. Rowe Furniture are upholstery specialists so if you’re looking to kit out your living room they could be the choice for you. For increased comfort and durability springs are placed 4-5 inches apart in the seat. They are doubled on the each end, which allows for increased resilience to daily wear and tear. Furniture grade laminates and kiln-dried solid hardwoods are used in the frames of each piece of Rowe Furniture. Mortise and tenon, double dowel and corner block construction are all used to give long lasting joints that are solid and sturdy. 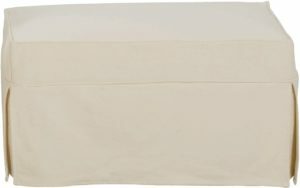 With 4 different cushion types to choose from you are given the ultimate in support and comfort. Made from high-resilience foam and wrapped in polyester fibre wrap to keep their softness and shape throughout their life. You can choose from firm to soft depending on your preferences and needs. All of these elements come together to give you furniture that isn’t just built sturdily, but built to last. The high levels of U.S construction mean you can rely on Rowe Furniture in your home. Rowe Furniture offer a selection of different sized sofas and sectionals to utilise all of your available space as best as possible. 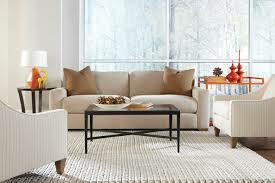 Popular choices are the 3 seater and the loveseat, but if your family is larger you can consider a corner unit. 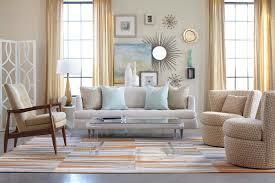 Rowe Furniture divide their sofas into a range of styles. There are traditional, modern, contemporary and transitional options to suit a variety of homes. Have a look at all the options and see which suits your home best. With this you can create a very personalised piece of furniture that you’ll love. The finishes for the wood let you alter the colouring to contrast your fabric choices, creating a unit that matches your vision. These range from chestnut to washed pine and there are never two pieces alike. When selecting fabric you can also check out their leather collection. There are different colours of leather, available with different rubs. Leather gives a timeless, classic look and while it’s soft to the touch it’s durable to daily wear and tear. Finally you can choose any accessories to go with your unit. Foot rests, storage options and different motions can be added to each piece. 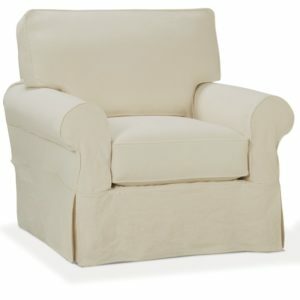 Select from glider, recliner or swivel in your chair or sofa and get maximum use from your new piece. 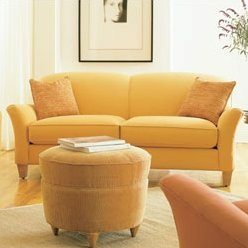 Rowe Furniture is about making your living room furniture as unique as possible. The customising options are very impressive and make a generic unit one of a kind when you’re finished. The fashionable design choices mixed with the construction quality means you’ll have furniture you’ll be proud to show off. “I have had a Rowe Sectional for 8 years. I'm getting ready to replace it just because I'm ready for something new. It looks fine. I have been very happy with it.” - Simon S.
Rowe Furniture is made for a variety of budgets and there is a bit of variety in quality across their collections to match. In the furniture industry you get what you pay for to a certain extent so upgrade wherever you can for the best products. Almost all of the elements come with different options so talk through it all with your dealer and try to get the best possible elements to ensure good, lasting quality. Rowe Furniture allow you to register your furniture so it’s covered by their warranty. All labour is covered for 1 year, cushions and chair mechanisms are covered for 5 years and frames & springs are covered for the life of the product. This warranty covers all material defects and gives you some confidence in the products you’re buying. Always check with your dealer about warranty and your specific products so you know exactly what is covered if something goes wrong. 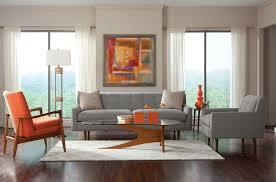 Rowe Furniture is a mid range furniture provider that have proven they have expertise when it comes to home furniture. What we really like about them is their choice and variety, but there are less features in their products that other brands. That being said Rowe Furniture are a solid furniture provider that are clearly doing something right with such a long history in the industry. For the price they’re offering clear value, and despite isolated incidents it seems like the construction quality is high. You won’t get the same manufacture quality as you’d get with the more expensive custom manufacturers but if you’re in the mid range market Rowe Furniture can be a great addition to your home.